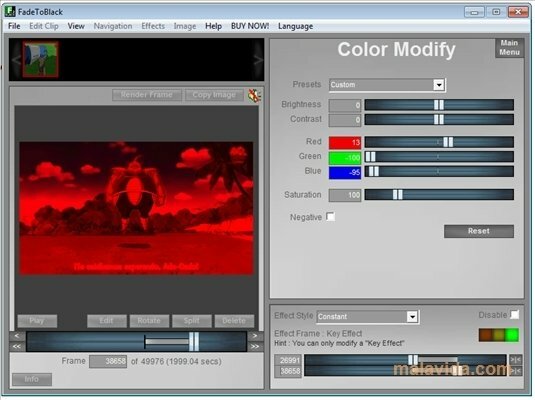 The vast majority of video editors of the market require advanced knowledge to get the most from the tools that they include, so they aren't very practical if we want to apply a filter or crop the main scene from a film. FadeToBlack is a tool that stands out due to its simplicity, because it allows to apply all kinds of small changes to our files, without it being necessary to have great knowledge in the video editing field. 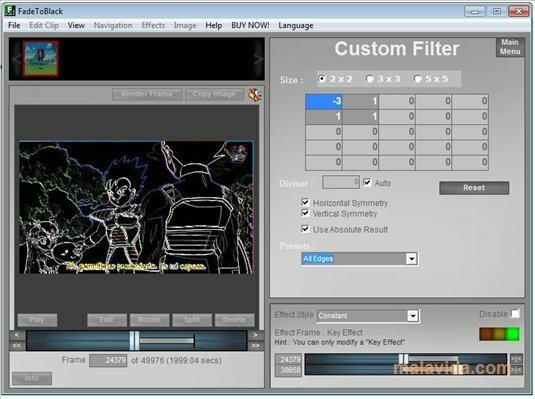 The program allows us to crop the video, applying color and gamma changes, using filters to improve the visualization and easily unify the various fragments of a file. As well as being able to use files in AVI format, the program also accepts images in JPG and BMP format, that can be inserted on any fragment of our composition. If you want a video editor with which it will be easy to apply small changes to our files, check FadeToBlack.